My rotations are running long due to incoming babies. This means we catch up with Nathan as he is going to bed Sunday night. 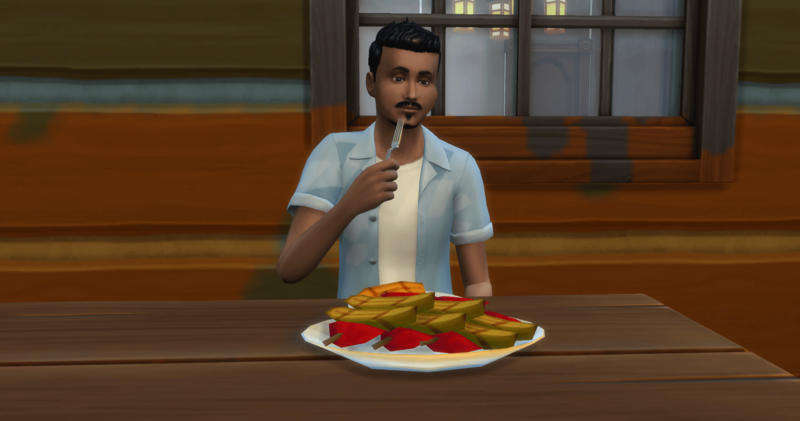 When he gets up Monday morning, he has a breakfast of grilled fruit. 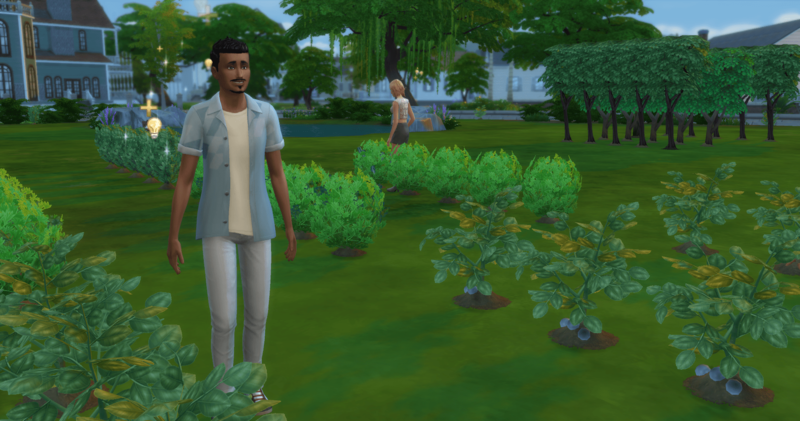 Nathan visits each of the neighborhoods to harvest fruits, vegetables, flowers, and herbs. When he gets back him, he starts his garden. He sees a vision walk by and begins a campaign to win her over. 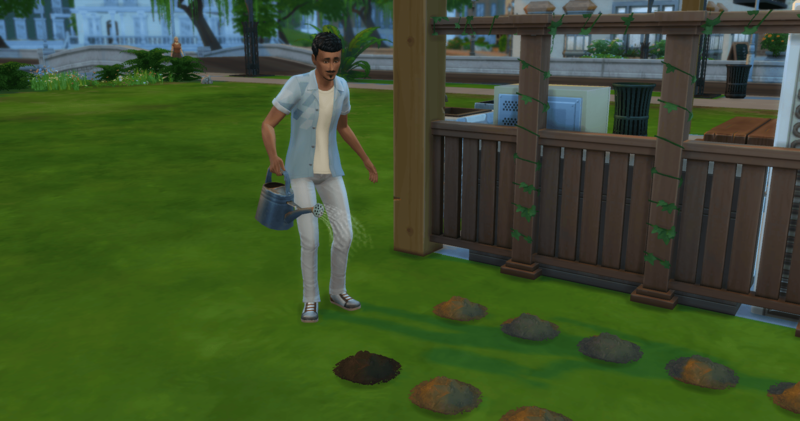 It takes him a few days, and more than one session to increase their relationship due to the fatigue that comes from gardening constantly. Finally, she agrees and they get married. Sofia has the aspiration to become a musical genius, which does not require a job. She agrees to help out in the garden and will practice her music when she has time. And the week would not be complete without a new infant in the family. Kinsey will be the heiress for the next generation, and possibly an only child.